The education system has become "completely dehumanised" into a machine which is "mass producing clones" and frowning upon individuality, the Delhi High Court said today. 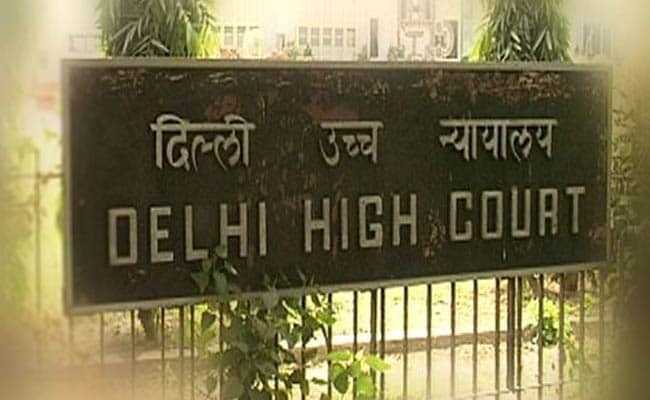 New Delhi: The education system has become "completely dehumanised" into a machine which is "mass producing clones" and frowning upon individuality, the Delhi High Court said today. "It (education system) is completely de-humanised. It is a machine. The human element has been completely taken out. The contact between teacher and student is perfunctory. There is no connect," a bench of Justices Siddharth Mridul and Najmi Waziri said. The bench said, "Are we producing clones? We seem to be mass producing clones. It seems individuality is frowned upon now. You must conform at all costs, else retribution is swift." The court made the oral observations while hearing a plea initiated by the Supreme Court in September last year on the alleged suicide by a student of Amity Law University. The matter was transferred to the Delhi High Court in March. During the day's proceedings, the bench said there was perhaps an "element of callousness" in how the university handled the deceased student's "cry for help" before he took the extreme step. "The student reached out to you (Amity). He cried out for help. But did you respond? Perhaps there is an element of callousness in how you handled it," the court said. "Implement your rules, but do not put students at risk," the court told the varsity which claimed it was only strictly enforcing its attendance norms. "Systems are not in place in your institution which is why a student took that step," the bench said. The varsity, however, said that systems were in place, but there was always room for improvement. It also said that this incident would have scarred the lives of the deceased's family, friends and batch mates. "It is a continuing trauma for them." Meanwhile, the amicus curiae appointed by the court said the status report filed by the Delhi Police regarding the incident was "shocking" as it said there was nothing in the complaint which required examination of any person. The status report also said the suicide note was probably not written by Rohilla, the amicus told the court. He said the investigation carried out so far by the police appears to be "compromised" and therefore, should be transferred. It has been claimed that Rohilla, who could not attend classes for quite some time due to various reasons including his health, was depressed over the prospect of not being allowed to take the exam by the college because of lack of attendance. The letter has blamed the Amity authorities for Rohilla's suicide. It also referred to the letter written by the student before taking the extreme step that he "might not mentally survive" the debarment.